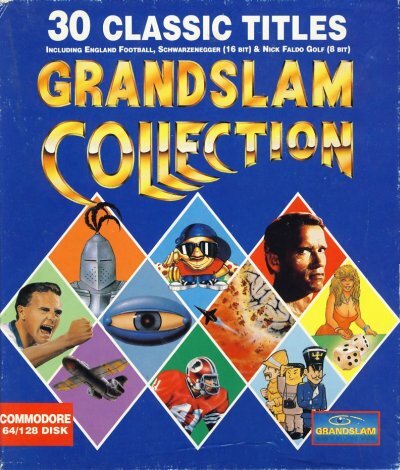 The computer games collection Grandslam Collection by Grandslam was published in 1992 on diskette. The sales price at that time was about ?? DM. The collection was - next to the C64 - also issued for the Amstrad CPC, Sinclair Spectrum, Atari ST and the Amiga. The games in this collection vary heavily between the different systems. The games are placed on 6 disks. Next to the disks there are two manual booklets in the package. This page was last modified on 19 September 2016, at 01:52.